Gardeners across Kent and Sussex enjoy a particularly varied range of soils and you often have only to travel a few miles to find a total change under your wellies. This is basically because of the equally varied geology underpinning our gardens from the chalk of the North and South Downs to the sandstone of Tunbridge Wells via Wealden clay and the Sevenoaks Greensand Ridge. 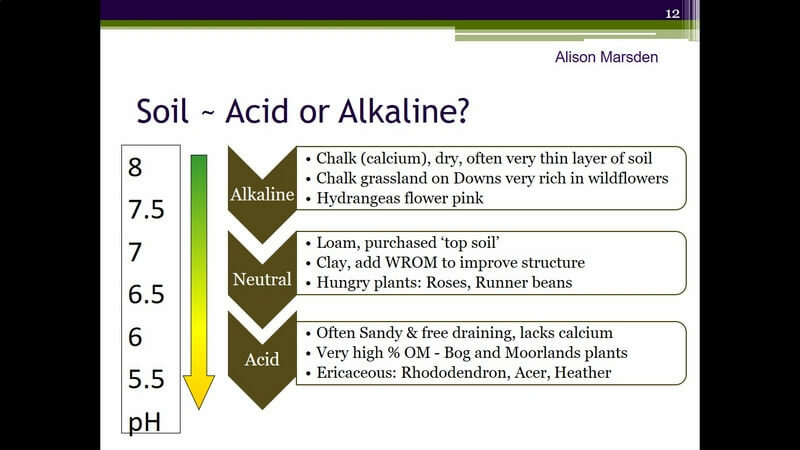 A little knowledge of how these different soils operate helps us to choose plants that will thrive naturally and to embark on appropriate ‘soil improvement’ to get the best from our own patch of land. In addition to the underlying rock, years of gardening can improve or impoverish the soil. Plants use up nutrients and naturally occurring organic matter breaks down but on the plus side an attentive owner may have been adding fertiliser and mulching. You can have a soil sample analysed but a good look and feel will quickly tell you quite a lot. Look: Organic matter is dark in colour whereas chalk, clay and sand are all pale so the colour is a general indication of whether there is a good organic content that will make water and nutrients available to plants without getting waterlogged. Chalk is usually obvious as white stones. Feel: If the soil feels gritty then it is likely to contain sand; a very sandy soil dries out quickly and is easy to dig but loses nutrients by leaching. Sticky soil is usually a sign of clay that does not drain freely and is often described as ‘heavy’ but holds onto nutrients and can be very fertile. Finally the local vegetation itself is a good guide. Plants such as Rhododendrons, Acers and Camellias need an acid soil to keep leaves green and healthy and you will find them growing over sand and sandstone. Roses need a deep nutrient rich soil and love neutral, moisture retentive clay. It will surprise no-one that I recommend the addition of well-rotted organic matter to improve your soil whatever its natural characteristics.